Professional Investor David Campbell is a frequent guest on some of the nation’s leading media sources for real estate investor information. Listen in to these great radio and podcast interviews with featured guest David Campbell, Founder of Hassle-free Cashflow Investing ! CLICK HERE to listen to the latest recording “Creating Cashflow with Lending” with professional investor David Campbell and Keith Weinhold host of the Get Rich Education podcast. Learn how to create cashflow as a private lender. 07:05 Why now is a good time to move chips from the equity side to the debt side. 10:48 Mortgage Note Investing is also similar to terms like “Hard Money Lending,” or “Private Lending.” Also, discussion of Mortgage vs. Deed Of Trust. 15:45 Buy notes where the borrower has 20-25%+ equity in the property. 23:02 Mortgage Notes provide higher cash flows, less risk, more liquidity, lower transaction costs compared to owning real property. 26:47 Example on a $75,000 mortgage. 34:50 Use your IRA or HELOC to create arbitrage. 36:38 Knowing good from bad, and avoiding fraud. 43:14 Turn your equity into cash flow. The show appears on iHeart Radio, iTunes, Android, and dozens of platforms. CLICK HERE to listen to the latest recording “How to Predict Real Estate Prices” with professional investor David Campbell and Keith Weinhold host of the Get Rich Education podcast. Get Rich Education is a weekly podcast with an abundance mentality to create wealth through real estate investing for an outcome of lifestyle improvement. Robert Kiyosaki has appeared as a guest on the show. His Rich Dad Advisors and Hassle-Free Cashflow Investing’s David Campbell are regular contributors. CLICK HERE to Listen in to the Passive Real Estate Investing Podcast episode 43 with host Marco Santarelli and featured guest David Campbell as they talk about how to predict real estate prices! If you can see where a market has been, and where it may be headed, you can lower your risk and improve your investing results. Learn to predict property values, price trends, market drivers, inflation, currency and other important factors that savvy investors should be aware of. 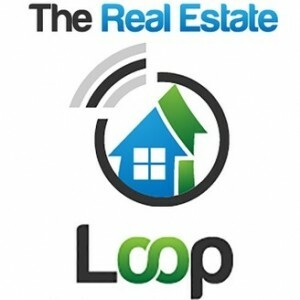 CLICK HERE for episode 106 of the Real Estate Loop with host Gavin Welch and special guest David Campbell founder of Hassle-Free Cashflow Investing as they talk about creating passive income as a mortgage lender. CLICK HERE for episode 107 of the Real Estate Loop with host Gavin Welch and special guest David Campbell founder of Hassle-Free Cashflow Investing as they talk about creating passive income as a mortgage lender. 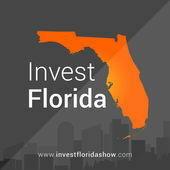 CLICK HERE TO LISTEN TO: Episode 81 of the Invest Florida Podcast with host Eric Odum and featured guest David Campbell – founder of Hassle-Free Cashflow Investing. David and Eric talk about investing in mortgage notes and making hassle-free cashflow as a private lender. 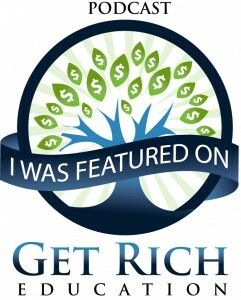 Listen to Get Rich Education Podcast episode 79 with host Keith Wienhold and special guest David Campbell founder of www.HassleFreeCashflowInvesting.com as David and Keith talk about “How To Achieve Financial Freedom”. 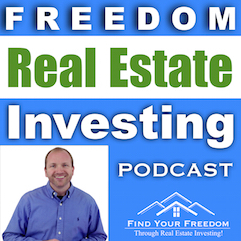 Listen to the Freedom Real Estate Investing Podcast with host Brock Collins interviewing David Campbell – CEO of www.HassleFreeCashflowInvesting.com Brock and David talk about getting out of the rat race by investing in mortgage notes. 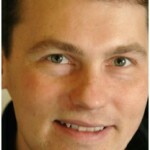 David Campbell from HassleFreeCashflowInvesting.com is a featured guest in this episode of the Best Passive Income Model Podcast with host Mark Podolsky “The Land Geek”. CLICK HERE to listen in as Mark and David talk about real estate investing strategies. Kemi Egan host of the New World Real Estate Podcast interviews special guest David Campbell, founder of Hassle-Free Cashflow Investing about private lending / mortgage investing on this episode of the New World Real Estate Podcast. Check it out! Listen to Get Rich Education Podcast Episode #51 with host Keith Wienhold and special guest David Campbell. What if the real estate market crashes? Our guest, Hassle-Free Cashflow Investing’s David Campbell, tells us how to hedge yourself against this with Mortgage Note Investing. Learn why this could be the ideal time in the real estate market cycle for Mortgage Note Investing. This can provide stable returns to you, yet more liquidity than owning real estate. Listen to Get Rich Education Podcast Episode #58 with host Keith Wienhold and special guest David Campbell of Hassle-Free Cash Flow Investing. What is “seller financing” of real estate? Why might you want to use it? In this Best Real Estate Investing Advice Ever podcast episode #122 hosted by Joe Fairless, special guest David Campbell, founder of Hassle-Free Cashflow Investing, shares how he got started in real estate and how you can too. Already started? That’s fine. David shares how to move from a couple properties to acquiring a large investment portfolio. 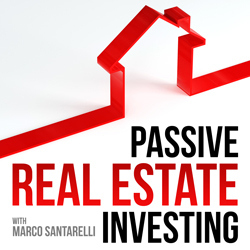 Listen to Passive Real Estate Investing Podcast Episode #12 with host Marco Santarelli and special guest David Campbell founder of Hassle Free Cash Flow Investing. You will learn: How to make money as the bank by acquiring an income producing mortgage note secured by quality real estate. Why now is the best time in the market cycle to acquire a mortgage note. How to buy a mortgage note to create a portfolio of tax-free and tax-deferred passive income for life. Why the most savvy investors are buying real estate outside of their IRA and buying mortgage notes inside their IRA but usually not the other way around. Listen to Central Illinois Business Radio with host Alex Ruggieri and special guest David Campbell. David talks about how beginning investors can get started investing in cash flow rental property. Listen to Best of Investing Radio Show featuring Hosts Edward Brown and Mark Hanf and special guest David Campbell as they discuss Hassle-Free Cashflow Investing. Why wait for a job or beg for a raise, when you can take matters into your own hands and make it happen now? Good question! To find the answer, we tracked down our good friend David Campbell who successfully made the leap from a modest salary to professional investor – and he did it fast. A bend in the road is not the end of the road unless you fail to make the turn! Your ability to adjust to a rapidly changing landscape can be the difference between staying on the road to riches or flying off a cliff. For many investors, the last three years have been a total wreck. For others, it’s been a challenging off-road excursion. For some, it’s been a real test of their abilities to operate their investment vehicle under the most extreme conditions. In any case, there are great lessons to be learned from everyone’s experiences. With so much money to be made, many aspiring investors are willing to pay large sums to have someone teach them how to succeed. Attracted by a marketplace full of bargains, many people are getting into the game and they’re looking for help. So we thought it would be a good idea to take a look at the topic of real estate investor mentoring. Learn about Campbell’s path from very humble beginnings as a high school band teacher to building a sizable national real estate investment and development company.